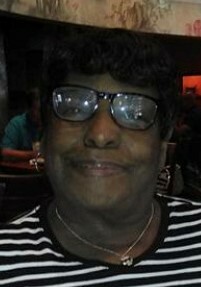 PACE ~ Celebration of Life Service for Mrs Gladys Pace will be 12 Noon Friday, January 25, 2019 at Deliverance Temple Global Ministries, 8225 Moncrief-Dinsmore Road, Bishop Alva D. Harris, Pastor. Family will receive friends Thursday from 5 - 7 PM at The Soutel Chapel. Because of the love of her family arrangements entrusted to J. E. Fralin & Sons Funeral & Cremation Services, 5065 Soutel Drive, 904.924.9400.